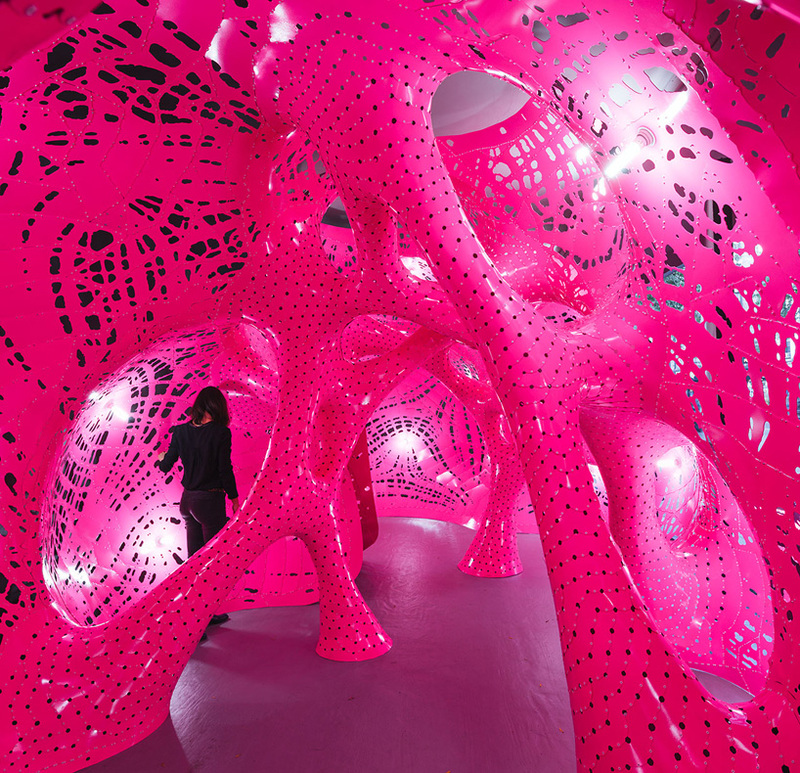 MARC FORNES / THEVERYMANY is a design studio practicing at the intersection of art, architecture, and computation. 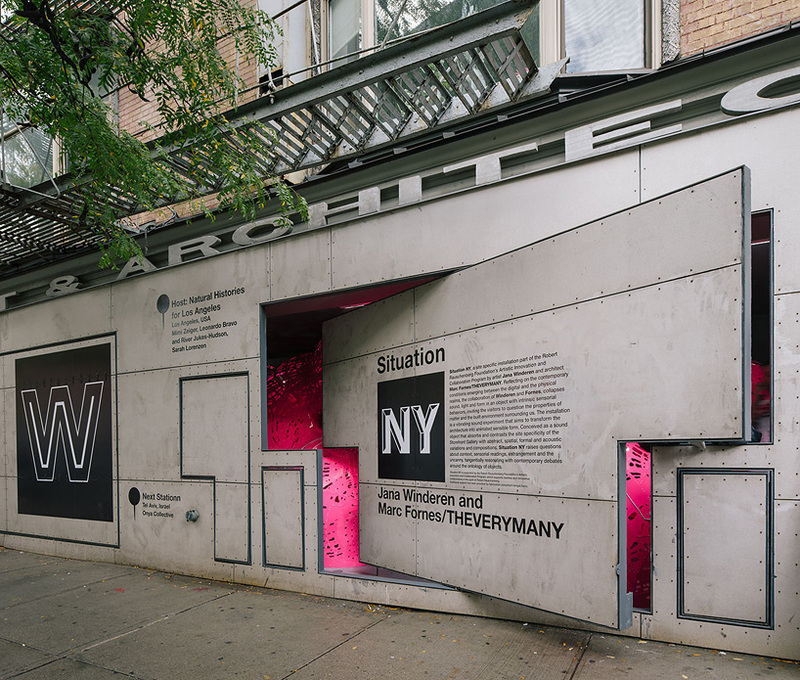 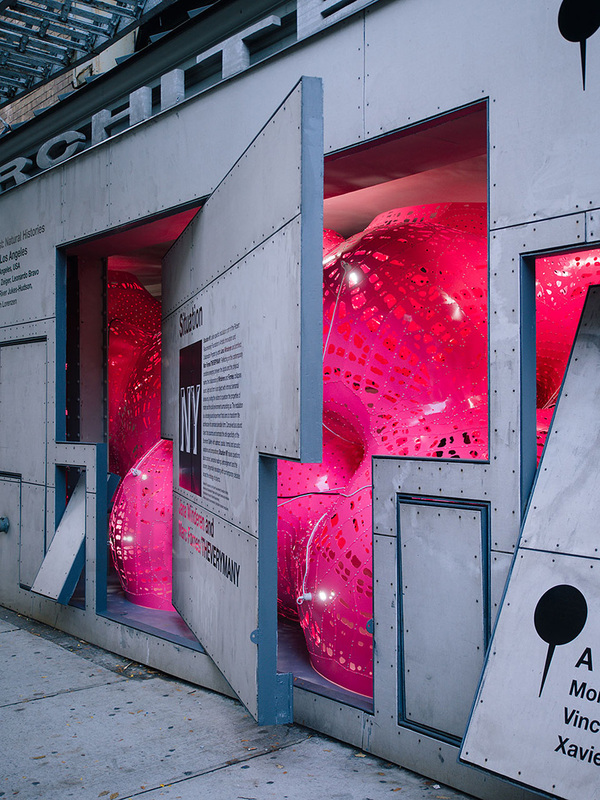 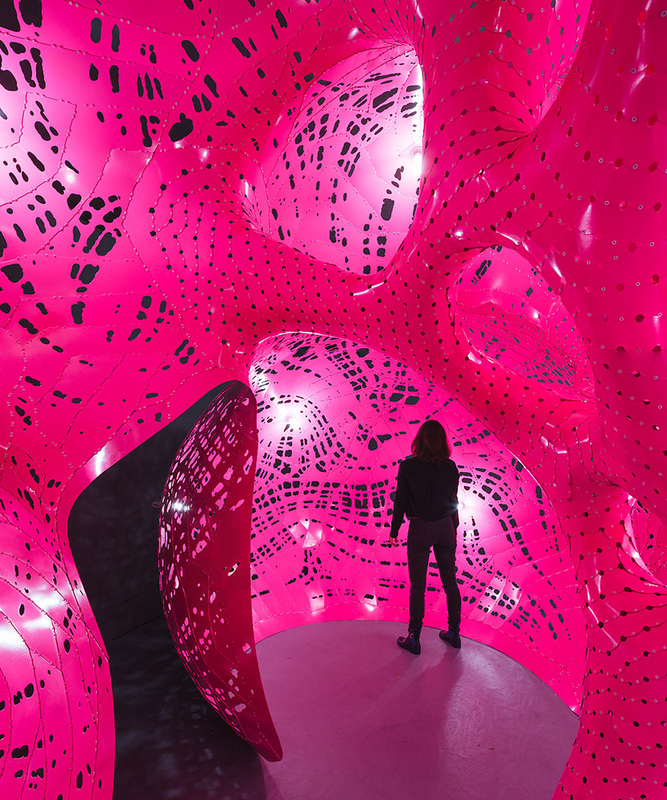 as a union of digital and tangible processes, oslo-based artist jana winderen and architect MARC FORNES / THEVERYMANY, have infilled new york’s storefront for art and architecture with an immersive sound and light object. 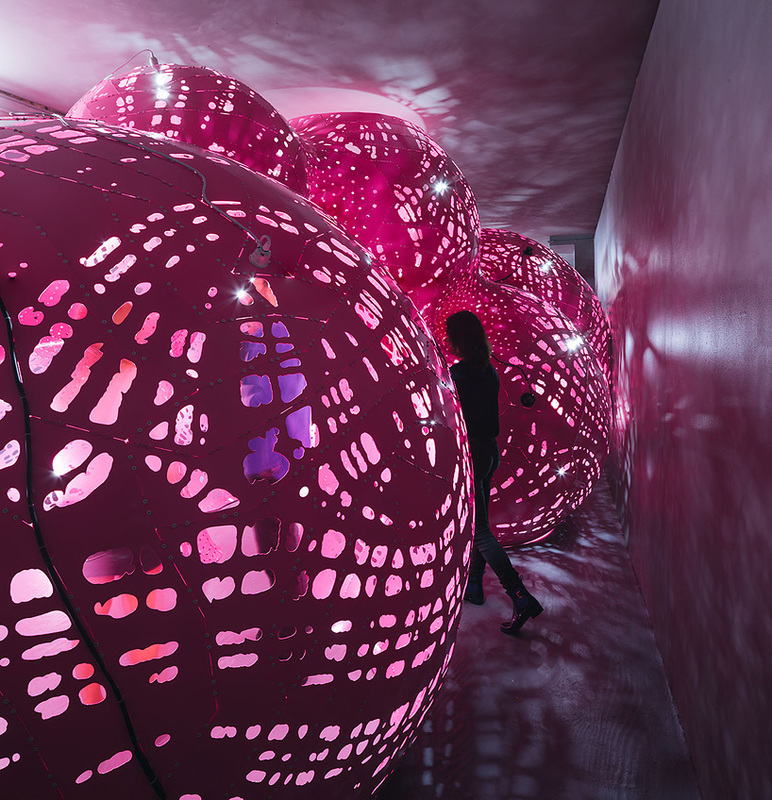 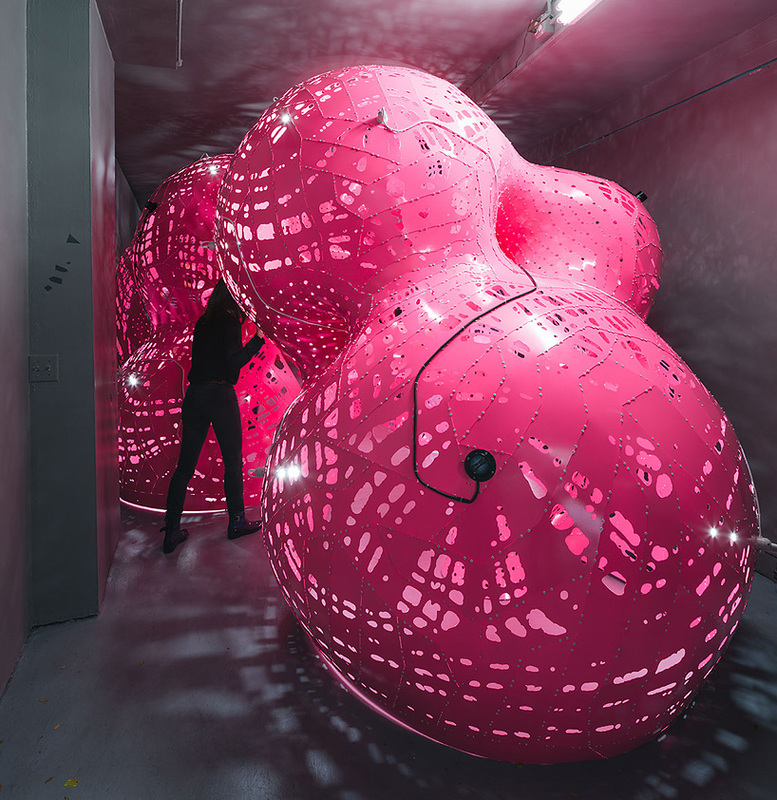 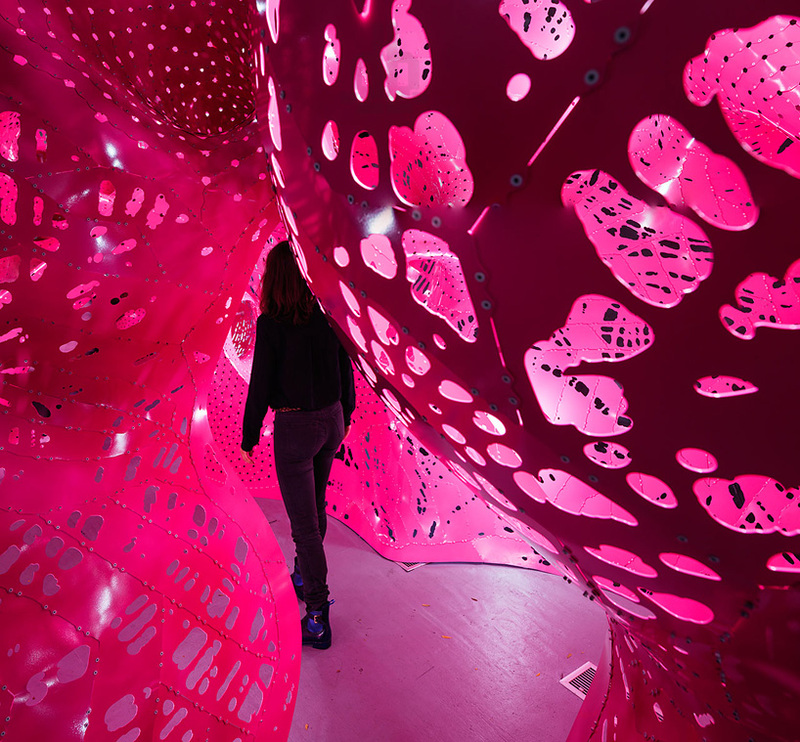 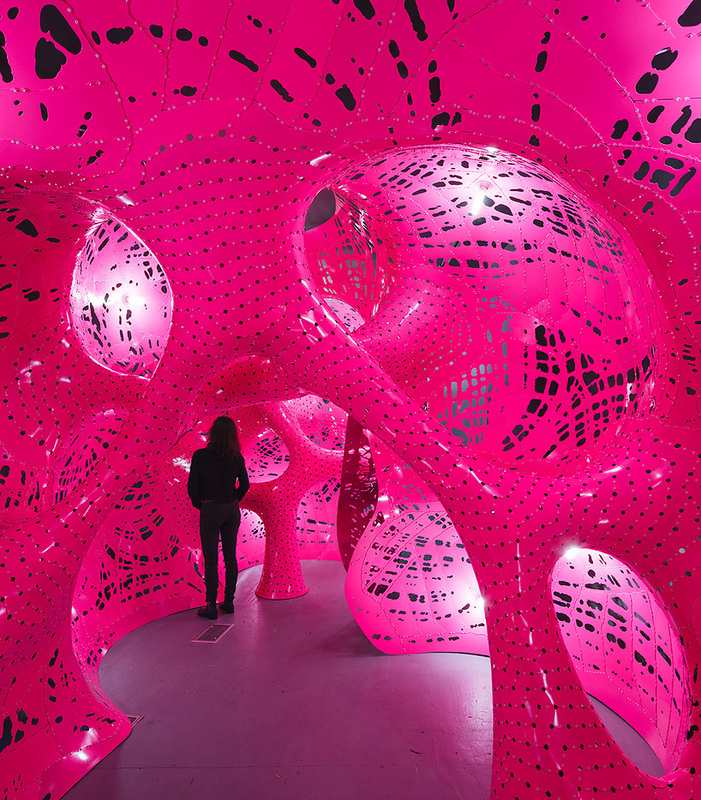 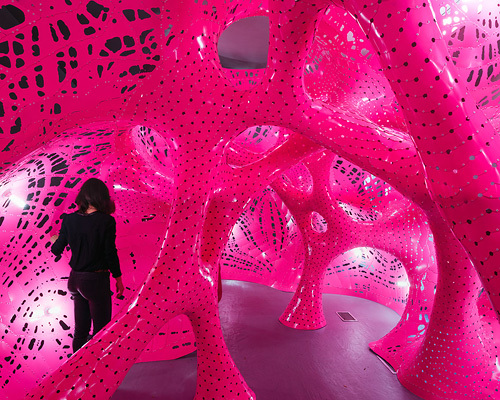 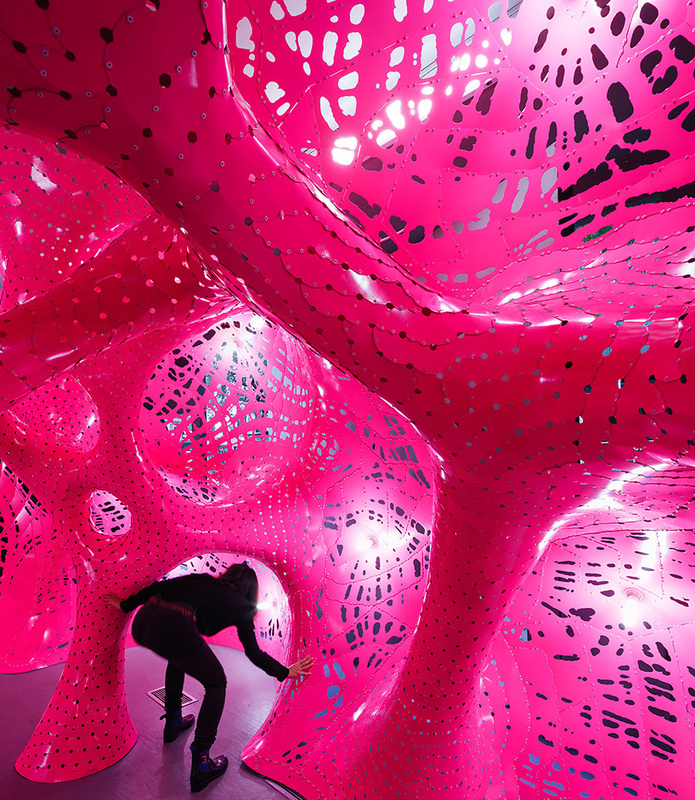 titled ‘situation room’, the work comprises an intricate web of parametrically generated shapes, undulating and stretching from the exhibition space’s floor to ceiling and colored in a near-florescent pink powder coating. 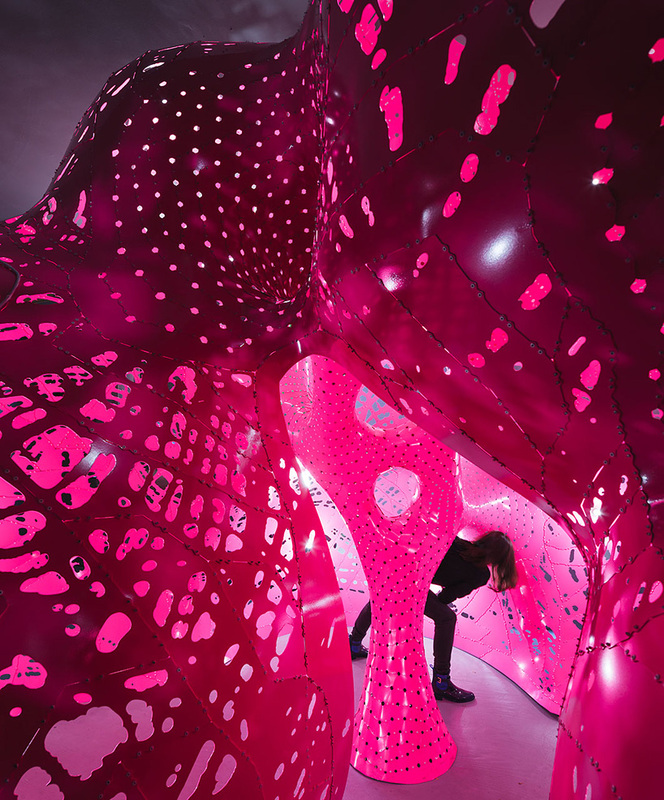 visitors activate the installation by walking and crawling within the bulbous network of passageways, apertures and tunnels made from 2000 unique parts, while abstract geometries punctured in the exterior skin allow for an interplay between the shadowy outer room and luminous interior chamber. 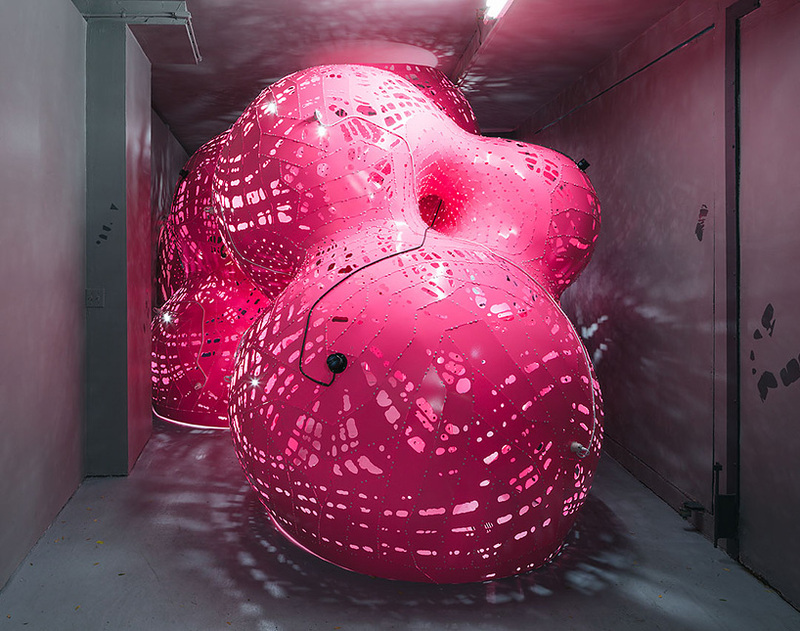 ‘situation room’ is a continuation of fornes’ study and work with typologies which untie both formal and technical constraints into an immersive environmental whole. 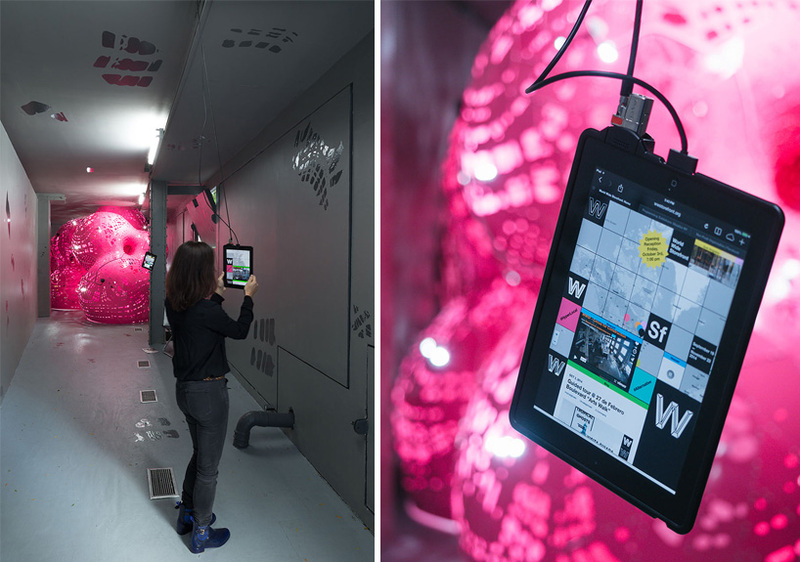 the project is presented from now until november 21st, 2014 on the occasion of the launch of the worldwide storefront.